Lock in a great price for Australis – rated 9 by recent guests! We had the chance to have a nice little appartment with Terasse. Thanks to the owner who picked up us to the Boat departure and arrival, I appreciated. 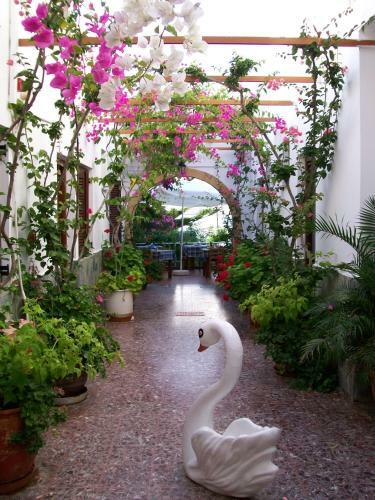 Beautiful flowers in the corridor, Father (owner) nice guy. The owner couldn’t be more helpful. Collected us from the ferry and took us back on departure. Offered occasional lifts e.g. 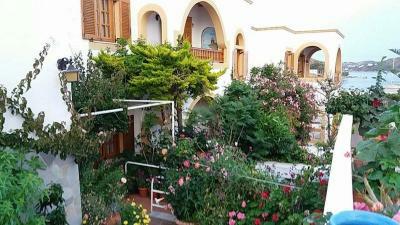 to the monastery at Chora. 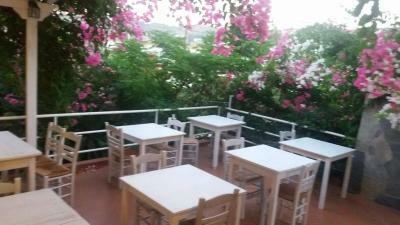 It is well located about 20 mins walk from centre of Skala with tavernas close by also. Hotel with great view in very good location. Staff was very helpful to everything. The location was great and our balcony fantastic!!! The view and the garden were exceptional . Padelis -the owner- was very kind , very helpful and efficient. Can’t wait to return!!! You can not fault this place for the location, price and the friendly welcome. 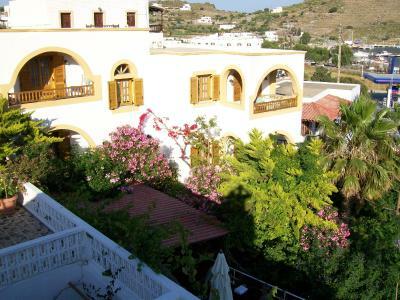 Of course there are more luxurious hotels in Patmos, but for anyone interested in discovering the lovely island, the Hora and grey beaches, no to mention the buzzy Skala bars and shops, all you need is a clean, cool room and an included breakfast before heading out for the day. 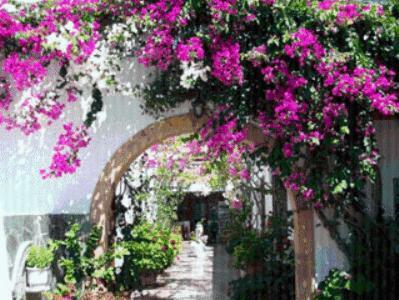 Great location and pretty flower gardens. I will return for sure! 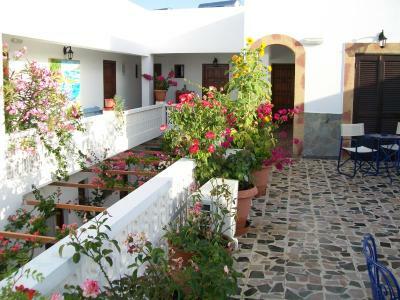 Great location near skala harbour . Spacious clean rooms with wifi and air con . Great breakfast and owners more than happy to help. Australis This rating is a reflection of how the property compares to the industry standard when it comes to price, facilities and services available. It's based on a self-evaluation by the property. Use this rating to help choose your stay! 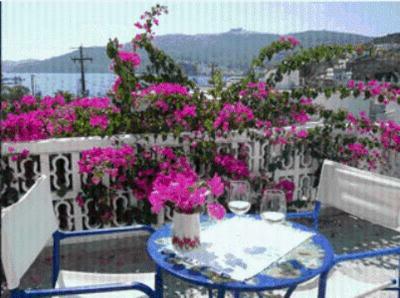 Surrounded by a garden with bougainvilleas, Australis is within easy walking distance from the beach of Skala and features a bar. 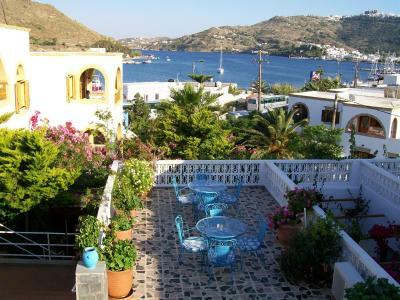 It offers air-conditioned rooms with free Wi-Fi and balcony overlooking Patmos Port or the town. A TV and fridge are included in all rooms at the Australis. Each has a private bathroom with shower and hairdryer. A breakfast buffet is served daily. Coffee and drinks are served at the traditional café. Staff offer free 2-way transfer from the port and can also arrange car rental. 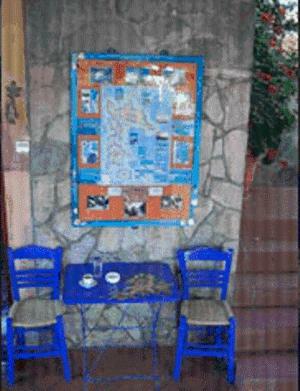 Central Skala with taverns and shops is 2,950 feet away. The bus stops within a distance of 500 feet. 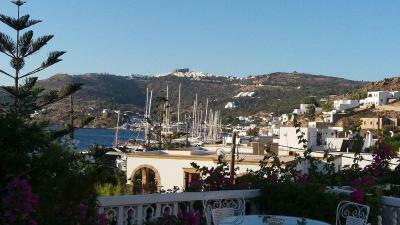 The scenic capital of Patmos is 2.5 mi away. Free private parking is offered at the property. 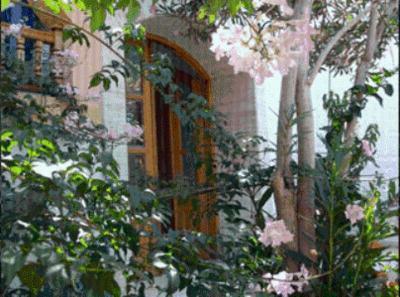 When would you like to stay at Australis? 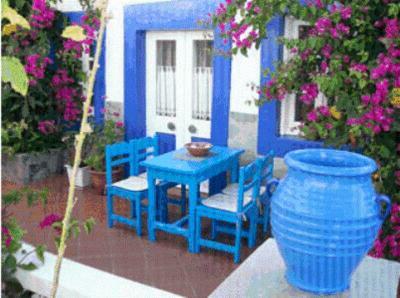 Air-conditioned room with free Wi-Fi and balcony overlooking Patmos Port or the town. A TV and fridge are included. House Rules Australis takes special requests – add in the next step! Australis accepts these cards and reserves the right to temporarily hold an amount prior to arrival. The shower. Very small and difficult not to soak the entire bathroom! Breakfast was OK, but only OK. 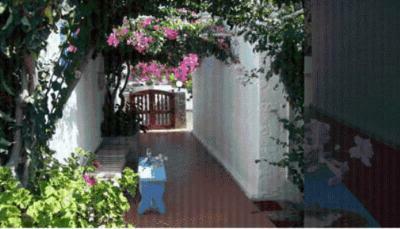 Location, price, breakfast, friendly staff, clean simple rooms, flower garden. Sadly, the owner's son wasn't a pleasant guy to meet.